Some News on the Shallop Restoration! 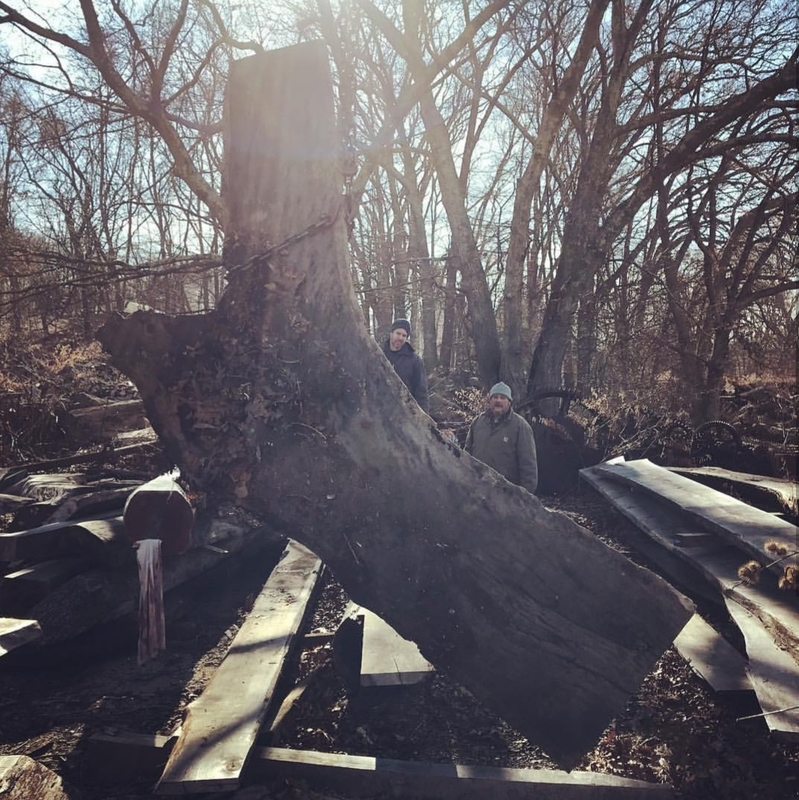 We had a delivery of cedar on January 15th from Kerber Farms Lumber and Co! This stuff is upwards of 20′. 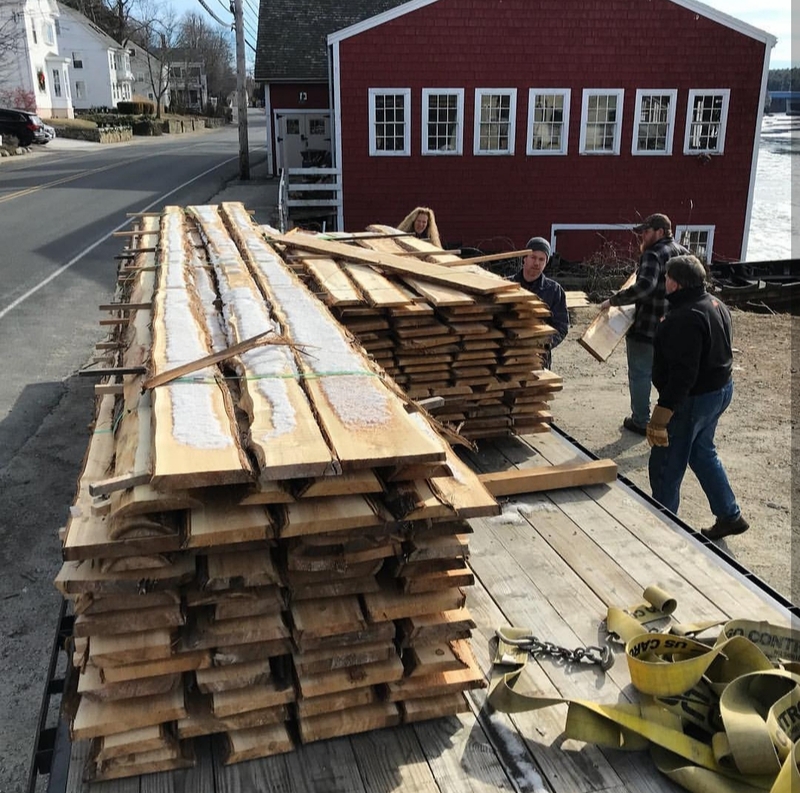 On January 26th we took a trip down to Mystic Seaport in Connecticut to go wood shopping. These are just their scraps! 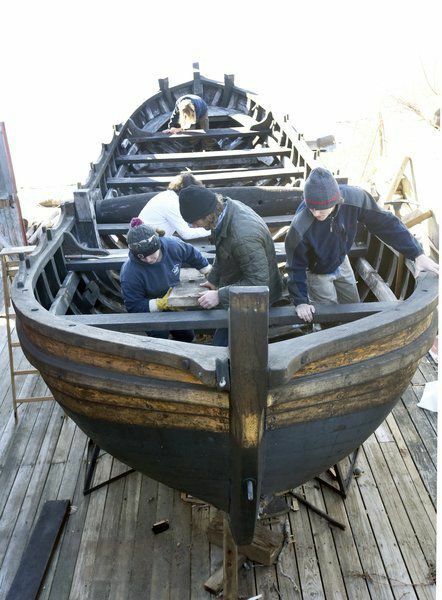 They’re doing a great job restoring the Mayflower II. We’ll be using this stock for the frames and floors for the shallop. 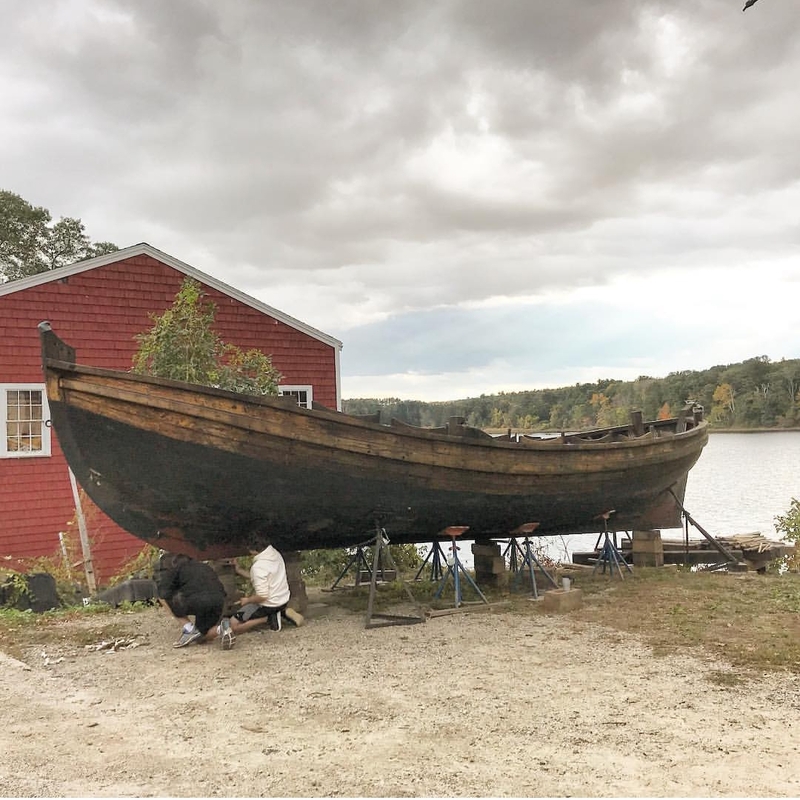 “AMESBURY — In preparation for the 400th anniversary of the Mayflower’s voyage, Lowell’s Boat Shop is restoring a replica shallop, a small rowing or sailing boat like what the Pilgrims would have used in 1620. 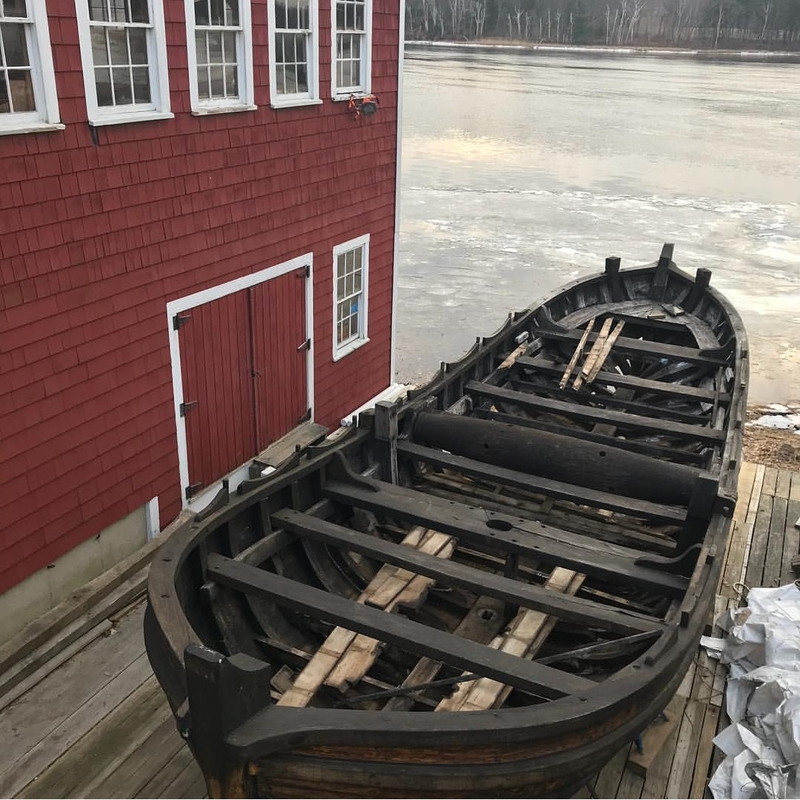 We're Getting Started on the Restoration of the Shallop for Mayflower II! Just this past week, we lowered the Shallop by crane down onto a structure beside our classroom on the river level. We are now working to assess what repairs need to be done, and in what order, so that we can begin our restoration. 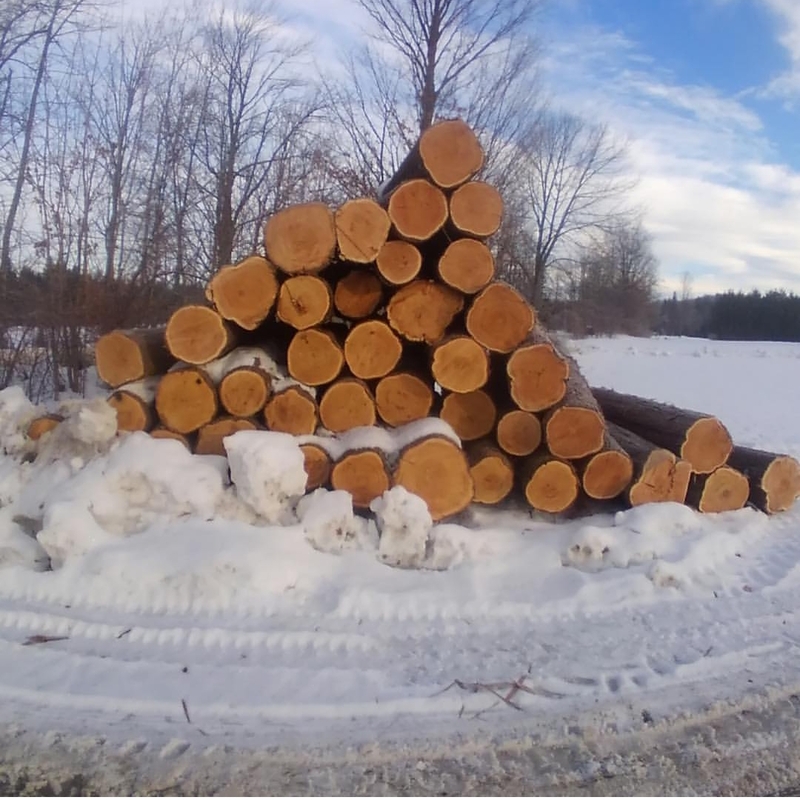 Many thanks to Kerber Farms Lumber Co. for the cedar logs they’re milling for us, as you can see in the third photo. These guys have been great to us and are genuinely excited to be providing us some great cedar! 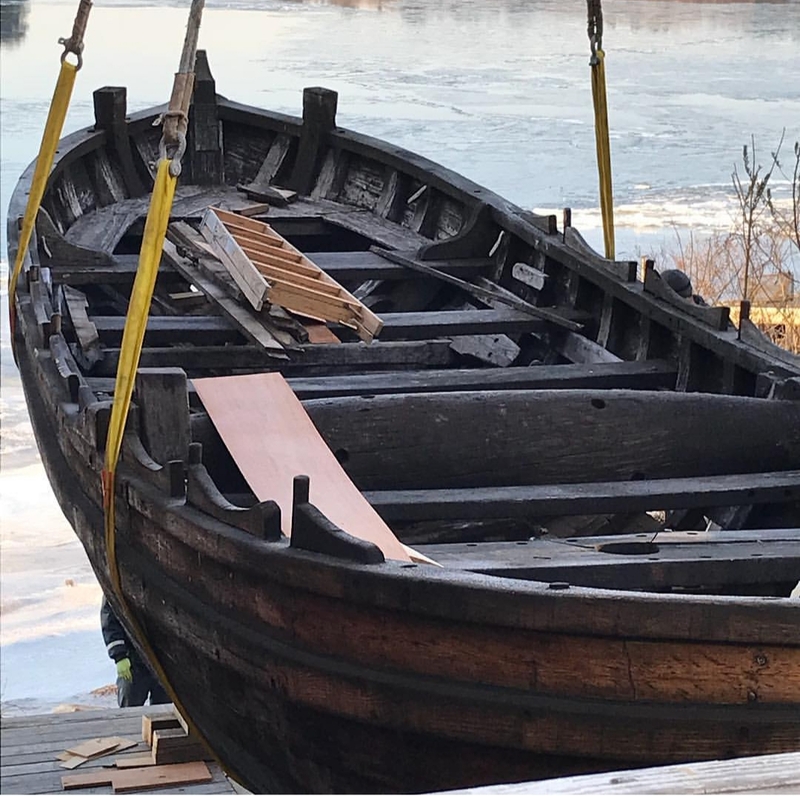 This year, we are very excited to begin a partnership with the Plimoth Plantation that will see our professional boat builders and apprentices working side by side to restore the Shallop for the Mayflower II. This project, expected to be completed in 2020, is unlike any other project our shop has taken on previously. 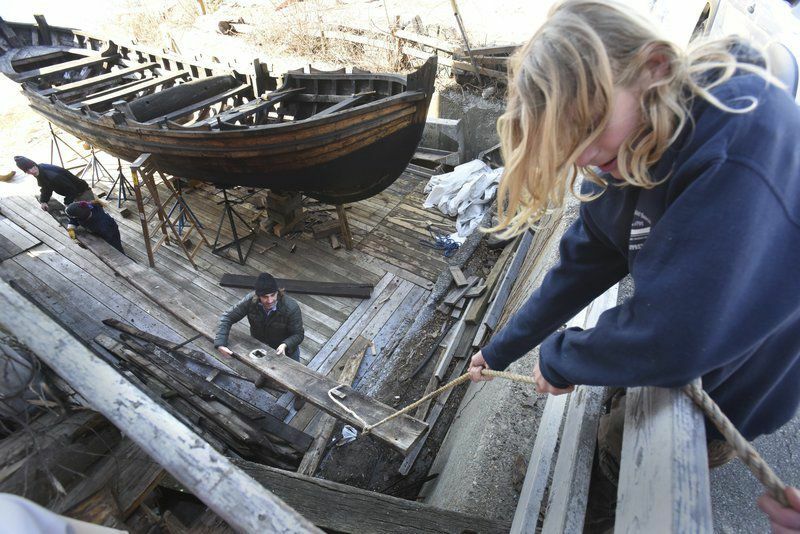 We are looking forward to introducing our apprentices to new traditions in boat building and broadening their nautical knowledge of our overarching regional history. This year, Lowell’s was proud to introduce two new rowing adventures to our youth program line up. Led by the shop’s Educational Director, Dorothy Antczak, and Waterfront Director, Alice Twombly, these rowing expeditions not only taught kids how to row, but encouraged them to explore local waterways, marshes, and islands while learning about what these natural resources have to offer. “Join us on an Expedition to Joppa Flats and the marsh beyond!” — This was our call to action for this rowing adventure held on August 7th, 2018. In this program, participants learned about navigation, and mapping the coastline using tools our maritime ancestors would have used.Once they reached Joppa, they spent the afternoon exploring the marsh ecosystem, they found and identified the plants and animals that call the marsh home. Castaways - an Adventure for Kids! 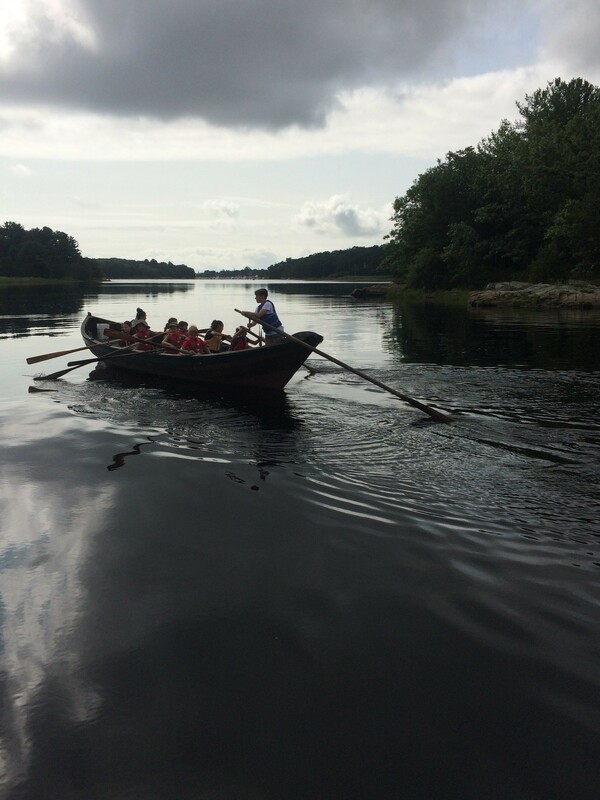 “What does it take to survive on an island in the middle of the mighty Merrimack?” Our castaways joined us on August 21st, 2018 to find out. They rowed from Lowell’s Boat Shop downriver to High Rock, where they made landfall and practiced survival skills such as: shelter building, tracking, and wild edibles identification. This program was a great exercise in teamwork and creative/critical thinking! Now for the fourth time running, Lowell’s offered it’s youth woodworking program this summer. 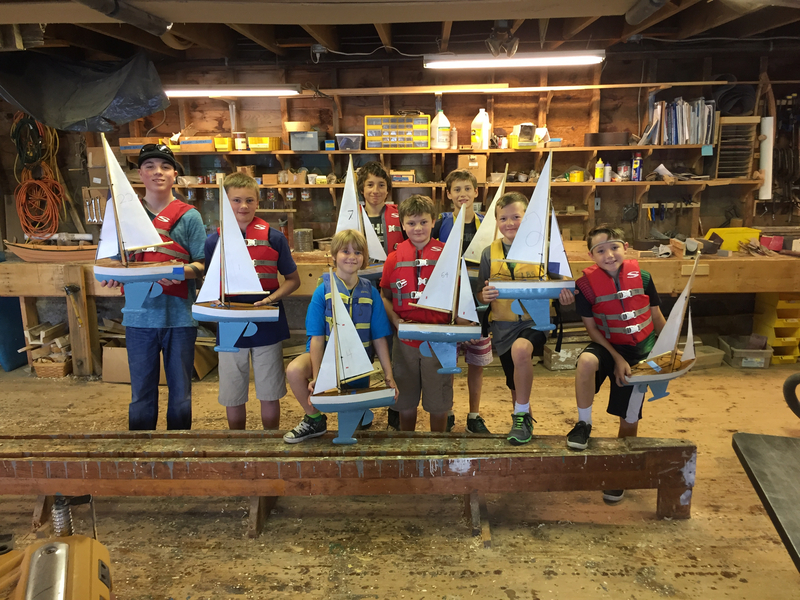 In this week-long workshop, participants learned how to use hand tools to craft their very own “pond yachts.” These model sail boats start as square blocks of wood which the kids then carve into the hull shape of their choice following a tour around our museum talking about stability and speed in hull design. 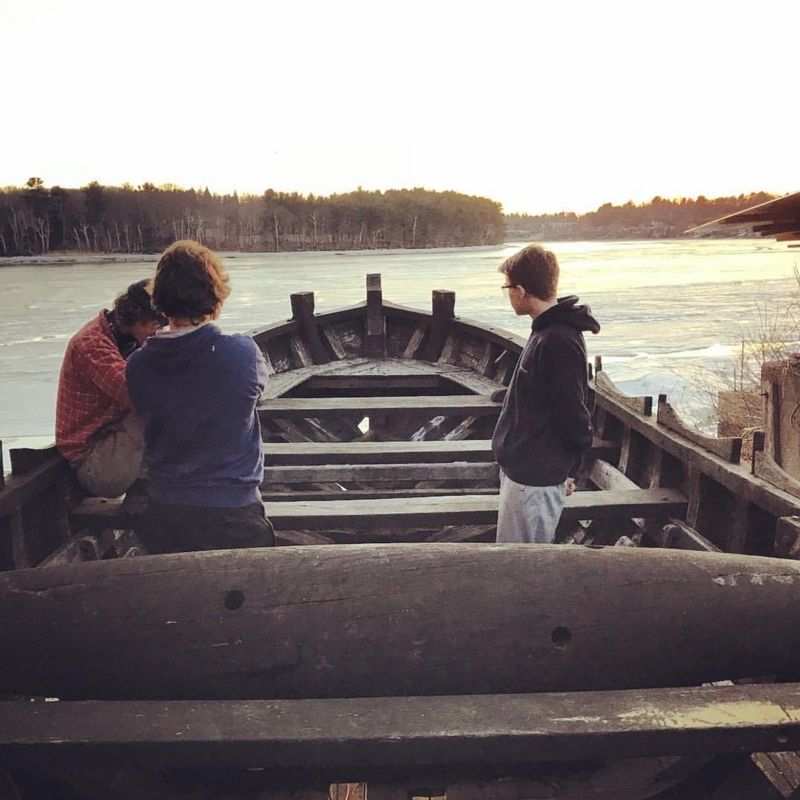 After laying decks, painting, varnishing, spar making, and rigging, we end the week with a regatta on the Merrimack River. The Marvelous Mrs. Maisel -- Lowell's on TV?! Any fans of “The Marvelous Mrs. Maisel” out there? You may be pleasantly surprised this upcoming second season to catch a couple of our boats in use in some scenes! 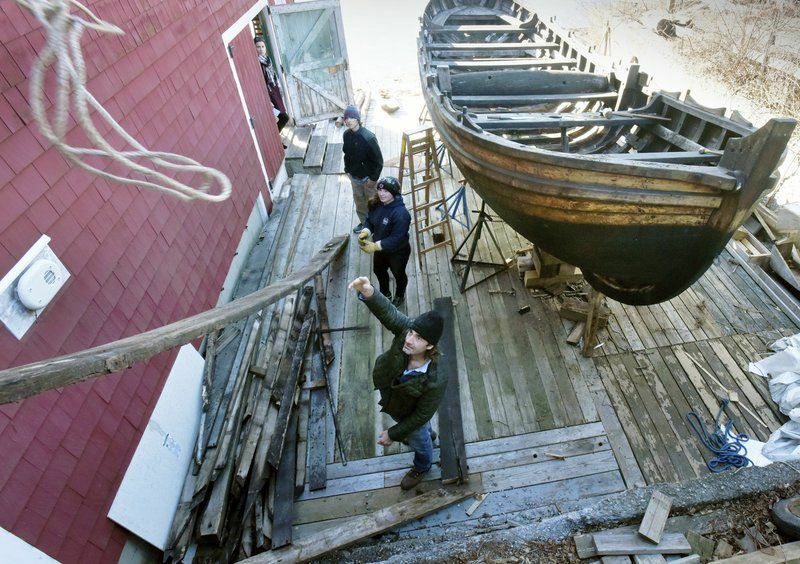 By June, we had a couple dories built for use in filming. More details to follow – be sure to catch season two when it airs this year on Amazon Prime! Catch a sneak glimpse of the second season here. 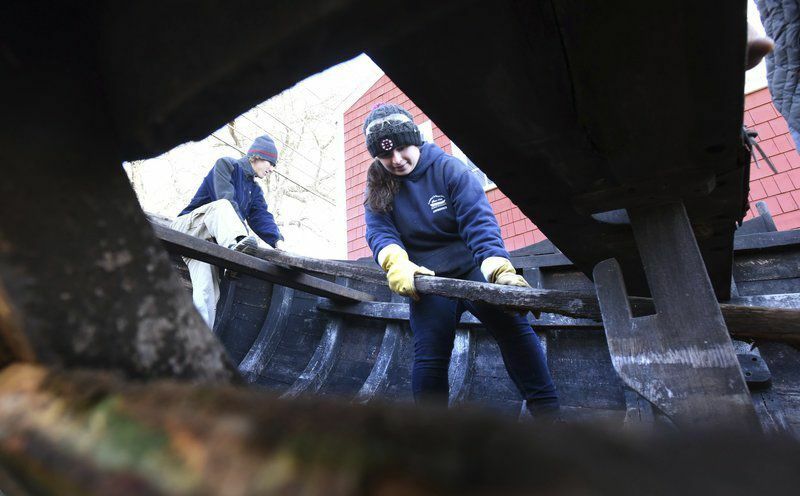 Thanks to the dedication of our graduate apprentices, Lowell’s took on a reparation project for a Cornish Pilot Gig commissioned by the U.S. Navy. 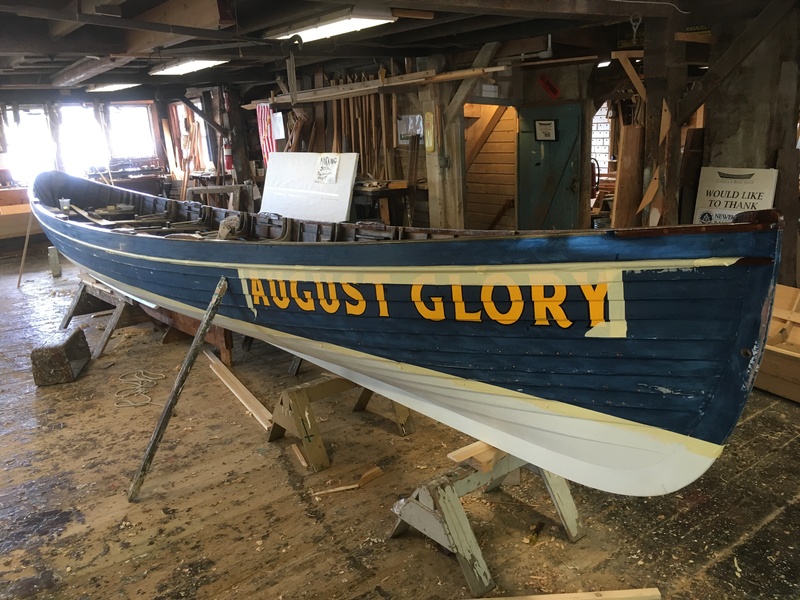 This 32-foot gig is named “August Glory.” In an article written by Carol Feingold of the Newburyport Current, our Executive Director and Master Boat Builder, Graham McKay, who had bid on this project, said he did so as he “knew [he] had graduate apprentices this summer who would do the job properly.” This project wrapped up towards the end of June, and we are thankful for our graduate apprentices, the work they do, and the opportunity to build that projects like these give us! 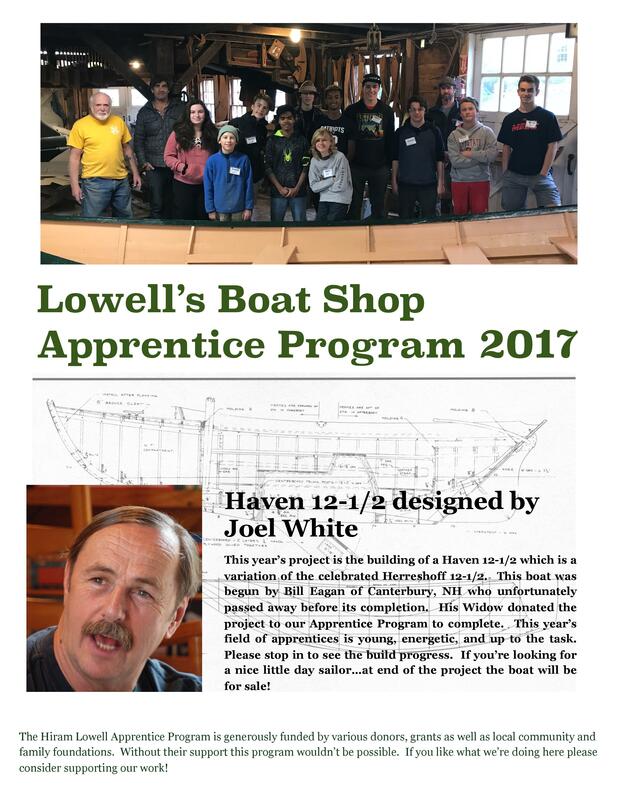 To read the article, “Glory, just in time for August: Lowell’s Boat Shop apprentices complete gig for Navy” by Carol Feingold, click here. Japanese Boat Building with Douglas Brooks! Lowell’s was honored to welcome Douglas Brooks this past November. 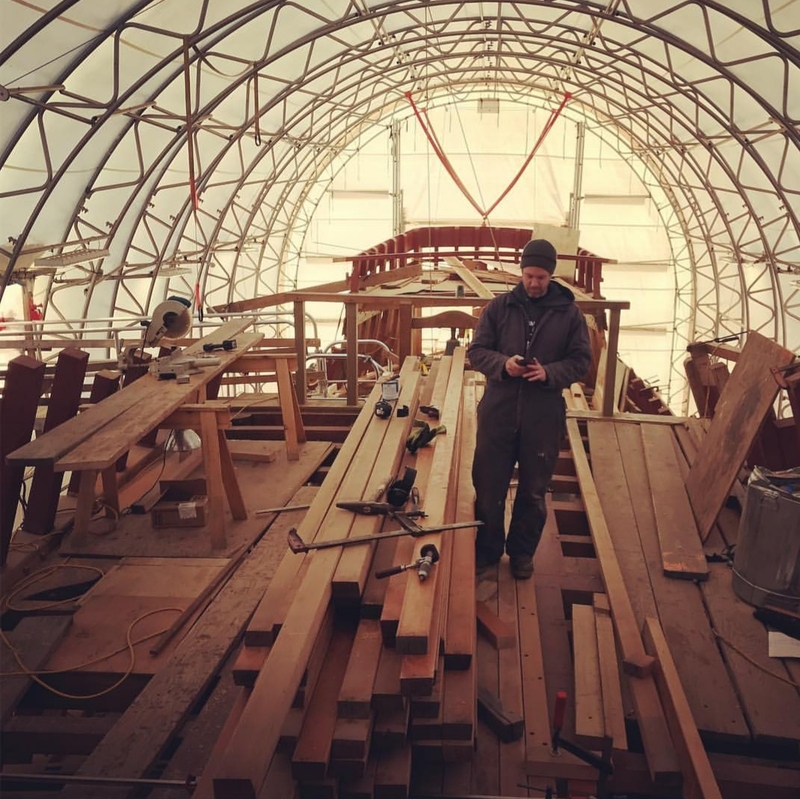 Brooks, a boatbuilder, writer, researcher, and expert in japanese wooden boat building, took up residency at the shop this past fall/winter to offer a series of workshops for our apprentices, members, and visiting museum guests to introduce the skills and practice involved in japanese boatbuilding. 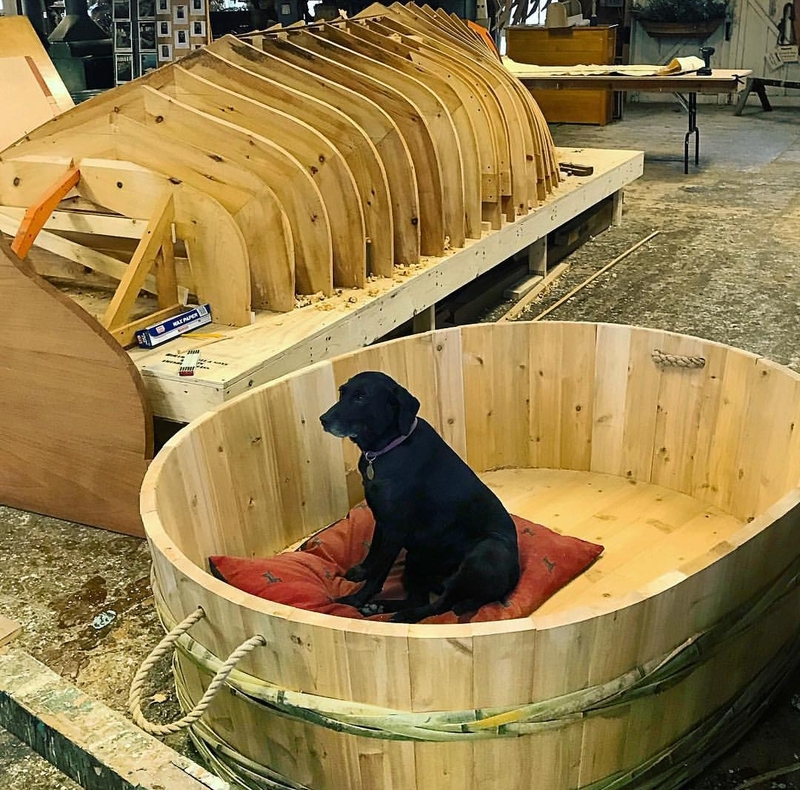 Featured in the picture on the left, you will see a finished Tairabune or Tub Boat. 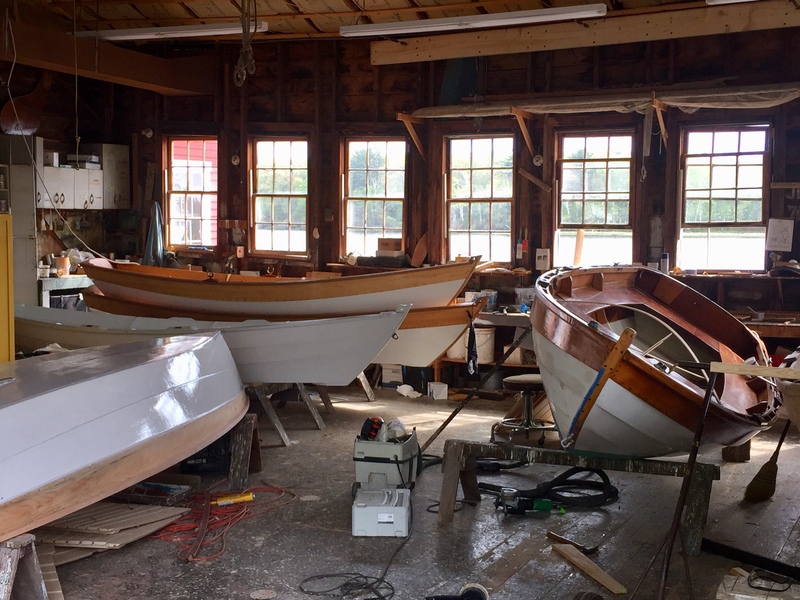 We are thankful for Brooks’ shared knowledge and the opportunity we have to introduce our public to various wooden boatbuilding traditions. You can visit Douglas Brooks’ website here. As the poster on the left describes, this past year’s project was building a Haven 12-1/2. This build marks a change from years past, as it is not a traditional Lowell’s design. This project proved the perfect fit for our varied group of new and returning apprentices. With a high increase of interest, we are welcoming many new faces to our apprenticeship, and we are lucky in having so many graduate apprentices returning year after year to mentor those just starting. This mentorship is so important, and the Haven 12-1/2 was the perfect fit to challenge our graduate students and also welcome our new students in the art of building wooden boats.